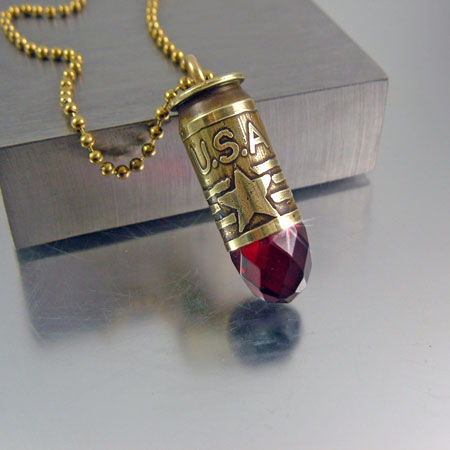 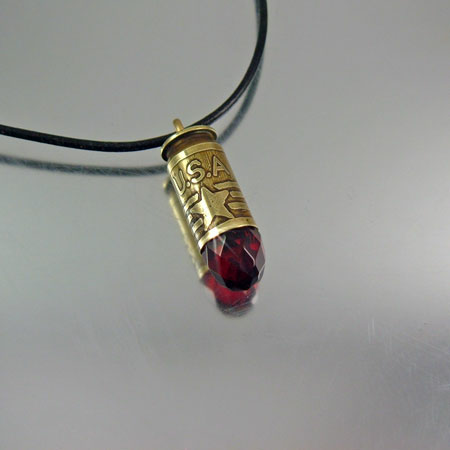 Show your pride for the USA with this .45 Caliber Bullet Necklace. 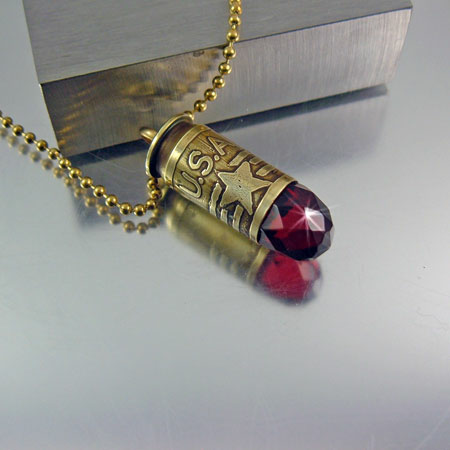 The hand drawn design is clean and direct with an antique patina finish added for character. 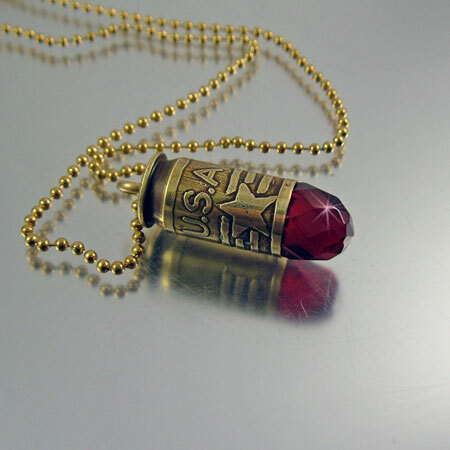 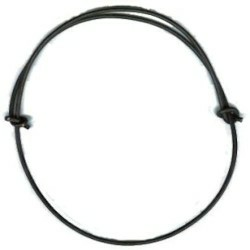 This bullet shell necklace looks stylish on a ball chain or a leather cord.